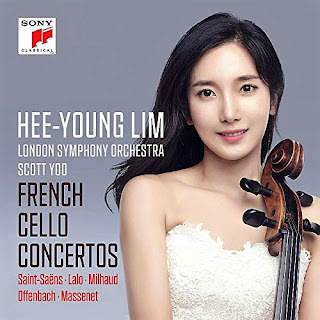 This disc of French cello concertos on Sony Classical from the young Korean-born cellist Hee-Young Lim with the London Symphony Orchestra conducted by Scott Yoo starts with the well-known Concerto for Cello and Orchestra No. 1 in A minor by Saint-Saens but then Lim's choice of companion pieces become far more interesting with Lalo's rarely performed Concerto for Cello and Orchestra in D minor and Milhaud's Cello Concerto No. 1, Op. 136, along with Offenbach's Les larmes de Jacqueline as a little extra. Hee-Young Lim plunges straight in with the Saint-Saens,her playing full of impetuosity combined with a fine strength of line and a rich, dark vibrant tone. She and the orchestra bring a nice robustness to the concertos more lyrical sections. 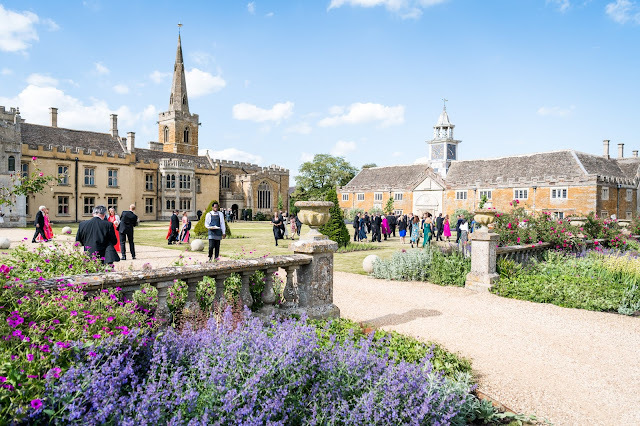 The middle movement is finely elegant while retaining the vibrancy, complemented by some delicate orchestral playing and the finale returns to the opening movement's impetuosity. Lalo's Cello Concerto, written four years after that by Saint-Saens, is far less well known than his concertante work for violin, Symphonie Espagnole. The cello concerto starts in a robust and dramatic fashion, with Lim bringing vibrant, singing tone to this richly romantic piece full of elegance and drama. 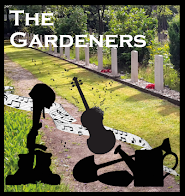 The second movement is quietly lyrical and rather soulful, with some delicate moments, and after a soulful cadenza with have a rather perky and characterful finale. Lim's approach in both these works is very intent, very serious and I did feel that there was scope for a little more wit and charm in the music, you feel you want her to relax a bit and enjoy herself more. Milhaud's Cello Concerto is a fascinating piece, it starts with a rather intense and robust cadenza complete with double stopping before continuing with an orchestral passage which is all lyrical charm and insouciance. The slow movement is full of deep dark moments, lyrical and intense, then the finale breaks the mood in lively, popular mode reminiscent of the fairground. Before he was well known as a composer, Offenbach was a cellist and his Larmes de Jacqueline is a delightful little piece, full of elegant charm and singing tones. Lim and the orchestra round things off with a fine account of the Meditation from Massenet's Thais. This is an impressive debut and Hee-Young Lim brings superb technique and musicality to this imaginative programme and she is well supported by Scott Yoo and the orchestra. But I just wanted her to enjoy things more, to mitigate her rather serious approach with moments of lightness and charm.